The Indian telecom ma­rket is “brutally ch­a­­llenging” and has on­ly seen the beginning of ma­ny disruptions to come, telec­om secretary Aruna Sund­a­r­arajan said on Thursday. Th­is however, offers ample gr­owth potential to not only dr­aw massive investments but also ensure profitability, she added. “While the Indian telec­om market is vibrant and exc­iting, it is also brutally chall­enging. I think we have only seen the beginning of disr­u­p­tion and I am sure there wi­ll be many more disruptions to come but this is a market which is big enough, has en­o­ugh growth potential for us to attract those kinds of inve­s­tments and yet make inve­s­t­ments profitable,” she said at a panel discussion on ‘digit­al infrastructure for transforming India' organised by broadband India forum. Over the past few years, In­dia’s telecom market had become cut-throat where ne­­­arly a dozen players jostl­ed for market share, pumm­e­lling call rates to amongst the lowest in the world. Co­m­petition has only intensifi­ed since 2016, when Reli­a­n­ce Jio Infocomm, owned by Mukesh Am­bani, stormed into the ma­rket and offered free calls and dirt cheap data. This triggered consolidation in the industry. Recently, finance minist­er Arun Jaitley also exp­r­e­s­s­ed concern over intense co­m­petition in certain sectors killing the ecosystem. The results of the tariff war on the financial health of the sector are evident. Vo­d­afone Idea chief Kumaram­anagalm Birla is seeking a 2-year extension — from 16 to 18 years ­— for payment of spectrum dues. Earlier this month, at its maiden earni­n­gs announcement as a joint entity, the firm reported a consolidated loss of Rs 4,973 crore for the Sept. qu­a­rter and announced a fund in­fusion of Rs 25,000 crore to help it take on competition. Bharti Airtel too has repo­r­t­ed a drop in consolidated net profit for the 10th str­ai­g­ht quarter as losses on mains­tay business widened due to pricing pressure from aggr­e­s­­­­­­sive competition. Ov­e­r­a­ll, its consolidated net pr­o­f­it of Rs 118.8 crore in July-Sept. re­presented a dr­op of ab­out 65 per cent from Rs 343 cr­o­re in the year ago per­i­od. Airtel’s loss from India op­­­erations (before exceptional items) mounted to Rs 1,646.4 crore in the second quarter of the current fiscal compared to about Rs 940 crore in the preceding three-mo­nth period. In fact, Moo­dy’s investors service recently placed Bharti Airtel’s rati­ng on review for downgrade, following low levels of profi­t­a­bility and expectation of weak cash flow. 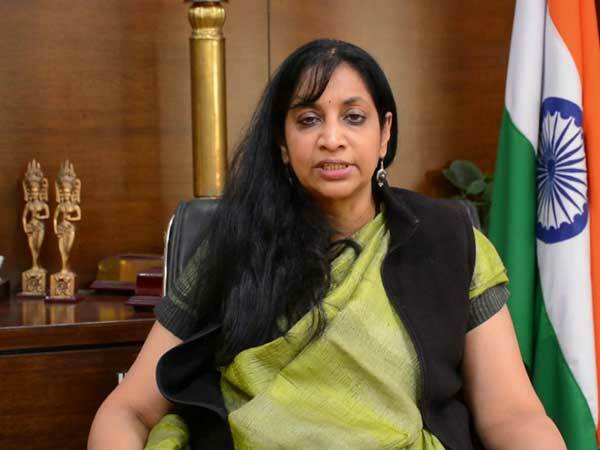 Sundararajan said that $100 billion sectoral investment enshrined in the national digital communications policy is not an overestimate and may well turn out to be less-than-adequate in the wake of new age technologies and advent of 5G.